Just a short two-hour flight from Tokyo, Kagoshima will bestow you with rare, incredible experiences that will connect you to Mother Nature in Japan at its most majestic and regal, nothing short of invigorating and inspiring. Kagoshima is the most southern prefecture in Kyushu. Originally named Satsuma, this prefecture has played a historically significant role in the industrial modernization of Japan as well as being home to the Southern Islands, which include Japan’s UNESCO Natural Heritage Site Yakushima (made popular around the world as the inspiration for Ghibli's Princess Mononoke), or the coral-filled waters of Amami Islands with beaches as beautiful as Okinawa but far less crowded. With a myriad of attractions, here are five highlights for you to visit! traditional Japanese tatami room setting, each party has their own private room to relax surrounded by warm pastel colors. The lunch set offers a variety of mini dishes at a great price allowing you to try various local dishes of Kagoshima, including, of course, the renowned and deliciously tender Berkshire Pork. If just eating Berkshire Pork while in Kagoshima wasn’t enough, you also have the option to take some away with you! As you get ready to board your flight and perhaps are thinking of grabbing last minute souvenirs, don’t forget to treat yourself to one more delicious treat, which is soraben (sora meaning sky and ben is short for bento), the Japanese custom of airport-exclusive shops selling various original boxed lunches of signature regional dishes from all around Japan. Representing Kagoshima is the breadcrumb Berkshire Pork cutlet sandwich. As it's the signature trait of this specialized pork, it’s very tender and juicy, working just as well as sandwiches, which you can take away in a box for yourself or for your loved ones. 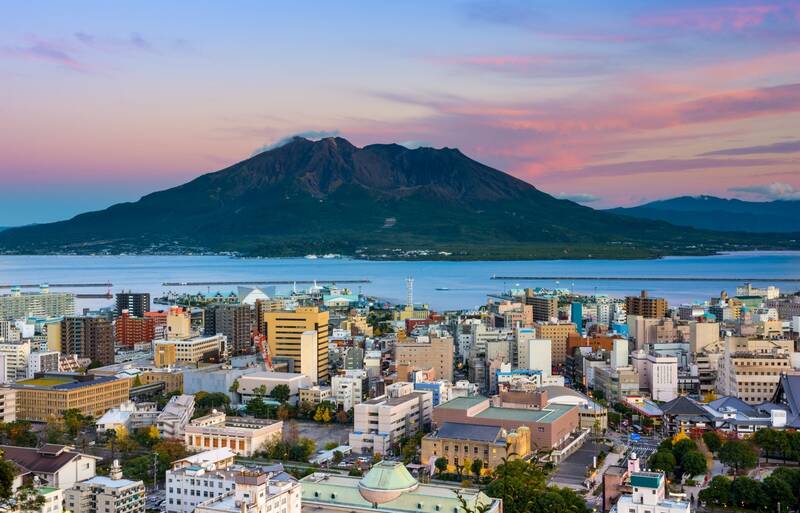 Home to one of the most active volcanoes in the world, Sakurajima is a special island that perfectly embodies the Japanese spirit, ancient customs and religious Shinto beliefs of living together with nature, not in fear, but in true harmony. At the visitor center, the introductory video explains the history and unique yet ordinary lifestyles of the people of Sakurajima and their relationship with the volcano. Of course benefits from the volcano include geothermal energy, mineral-rich soil leading to very tasty vegetables and hot-springs to its 4,500 residents. Just a short 15-minute ferry ride from Kagoshima City, only in Sakurajima can you grow, see and buy Sakurajima Radish: the largest round-shaped radish in the world, capable of reaching a weight of 45 kilograms (100 lbs)! As Sakurajima is home to an active volcano, a unique benefit from it is the natural, geothermal-heated outdoor foot spas which are free to use by anyone at anytime. The water is constantly warm and the minerals from the earth naturally detoxify and nourish your feet and skin, leaving them silky soft. However, if you would like to go for the full body experience, then Sayuri Sand-Steam Bath in Ibusuki, South Kagoshima, is the place to go! Once you’ve changed into your yukata, you’re buried in the warm sand by the staff who can adjust the temperature of the sand at your request to keep you comfortable. Your head rests on a towel, propped up on the sand to support your neck, leaving you to relax and unwind to the sounds of the waves nearby. Just 10 to 15 minutes is more than enough to stimulate your blood circulation and detoxify your skin, leaving you internally warm and cozy for up to thirty to forty minutes after you’ve left the place. Highly recommended in the cool spring, autumn or winter seasons. Once done, you can wash and then relax even more in the indoor public bath. After your experience, you can cool down with some Ibusuki Onsen Cider or ice cream, or on an adventurous note, try some geothermal steamed eggs or sweet potatoes, a delicious delicacy in itself! Senganen Gardens is a whole lot more than just a garden! A great day for individuals or for the family, it’s an open-air museum, a traditional Japanese feudal lord home experience, a nature hiking trail, a flower wonderland and much more all in one. The garden was originally a villa belonging to the Shimazu clan and is still maintained by descendants today. It also played a significant role in the industrial modernization of Japan. You can learn and observe various traditional Japanese craftsmanship as well as enjoy local dishes and even shochu (Japanese liquor) flavored ice cream! Designated as a World Heritage Site, the world of Senganen completely changes with each season, making it a place to visit more than once! 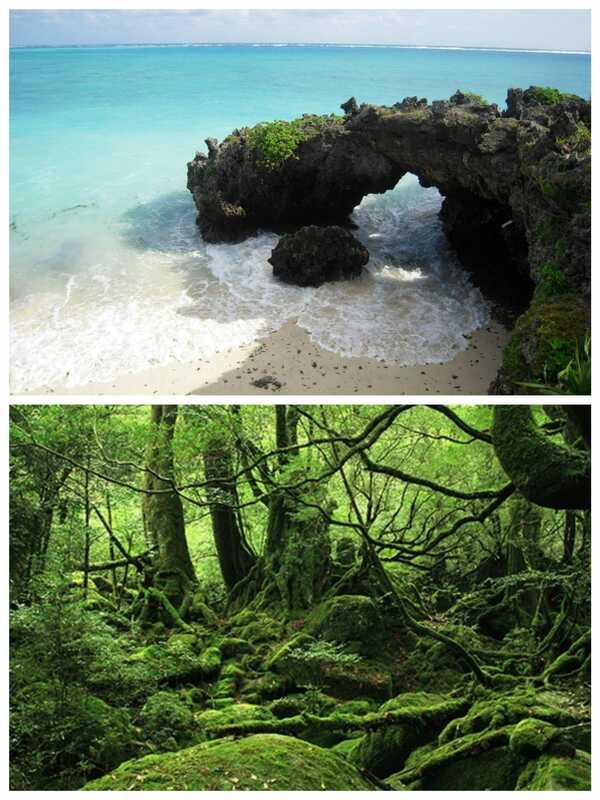 Kagoshima on your bucket list! From world-class nature trails and national parks to over 400-year-old historical gardens, from the golden beaches to outdoor foot spas or unique sand-steam baths, in just one prefecture of Japan, Kagoshima provides unforgettable adventures suited for any age or type of traveling holiday. You’ll be able to see the best of what the land of Japan has to offer you. Quirky little British lass who worships all things Naruto (TV series), Reina graduated from Japanese voice-acting school and is currently freelancing as a bilingual actress and voice actress. Hobbies include katana exercise, karaoke and watching anime.